Payments to third parties is the only service not yet activated. Bank of Valletta said on Thursday it had resumed a number of its services during the night after a major cyber attack. The bank shut down all its operations on Wednesday morning after hackers broke into its systems and moved €13 million into foreign accounts. The resumption of services follows rigorous overnight testing of the bank’s IT systems which were successful, the bank said. Customers may now once again make use of BOV services through the bank’s branch network, ATMs, internet banking, mobile banking and by making use of their BOV cards when effecting purchases. Payments to third parties is currently the only service not yet activated. The bank again reassured clients that customer deposits and customer accounts were in no way affected by the attack. Prime Minister Joseph Muscat said on Wednesday that four fraudulent international transactions had been made by hackers at Bank of Valletta, transferring €13m to banks in four countries. The funds had been traced and the process has started for the transactions to be reversed. 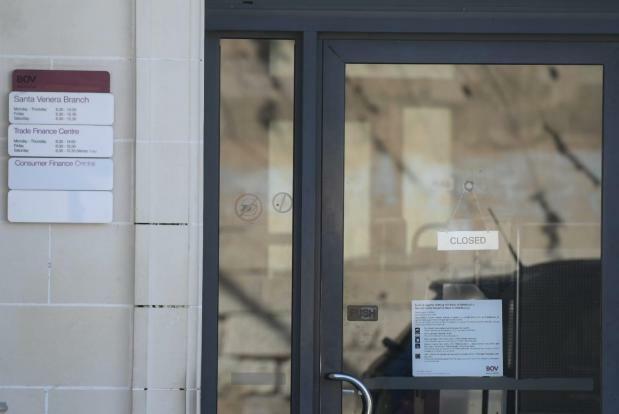 Bank of Valletta thanked customers, the public and the media for their patience and support and apologised for the inconvenience the incident may have caused. It also thanked its staff and external security consultants who worked relentlessly during the night to identify and resolve the situation, to the authorities and all those who in any way supported the bank during this incident. It reminded customers to be wary of requests for their personal or account details saying it would never ask for customer details through any channel such as social media, emails or telephone. Should there be any such requests, customers should contact the bank’s customer service centre on 2131 2020. APS Bank said on Thursday all its banking services were back to normal. The bank on Wednesday suspended some of its banking services as a precautionary measure following the attack on BOV. The bank, it said, would be refunding any cash advance fees incurred by customers who used their APS Visa Debit card to withdraw cash from third-party ATMs during the APS ATM downtime. Any queries, the bank said, may be directed to its customer support centre on 2122 6644. In a statement, the Social Security Department said that social security payments which had to be deposited on Saturday would be deposited as normal. Beneficiaries would find the relevant payments in their accounts as usual.